We’ve finally gotten down to the real meat of the question with the figural speech or metaphor of Gen 22:12. After Abraham comes through the test that God had prepared for him, demonstrating to God that he will be faithful to him even in the most drastic of circumstances, God says to Abraham, “now I know that you fear God.” We’ve said this is figural. On the one hand it truly represents the fact that God is interacting and responding to Abraham. On the other hand it does not communicate that God did not know how Abraham would respond. This “is” and “is not” is typical of metaphor. But this raises the question: when we apply an image to something, how do we know which characteristics of the image come through and which do not? Let me give an example. When we talk about the eye of a needle we’re applying the image “eye” to the hole at the end of the needle through which you put the thread. We don’t mean to say it’s like an eye in that it sees; we just mean it has the shape and positioning of an eye. On the other hand, when we say that the teacher has eyes in the back of her head we don’t mean to say she has holes with the shape and positioning of eyes on the back of her head; we mean that when she’s facing the blackboard it’s as if she can see what’s happening behind her. In these two cases we have the same image being applied but different characteristics coming through. So our question once again: How do we know which characteristics come through and which don’t? In order to answer this question we need to address two characteristics of metaphor that help us understand how it works. The first has to do with the context of the metaphor and the second has to do with the way metaphor helps us to gain new knowledge. These two aspects of metaphor will help us understand how to interpret biblical metaphor. This first aspect is actually pretty straightforward. Metaphor works because we already have a good idea what the author is going to say, even before he or she says it. The context has already been crying out for some description that will capture what has yet to be put to words. What do you call that hole at the end of the needle? How did she know it was me that threw the spit wad? We do need to keep in mind, though, that context can be anything from the immediate context of the utterance to broader cultural perceptions. If someone says to you, “he’s a turkey,” you probably need to know something about the context of the discussion, the tone of voice, and the character of the person being discussed. All these would count as the immediate context. But it would also be helpful and sometimes downright necessary to know how the culture as a whole perceives turkeys. Benjamin Franklin (who thought the turkey a better symbol for the United States than the eagle) might very well have thought you were commenting on the courage of the person. A hunter might have thought you meant he was elusive, wary, or alert. In the case of Abraham, the immediate context of chapter 22 is important. We’re told right from the get-go that this is going to be a test. But that leaves everything open—does that mean God needs to find out if Abraham fears God? In this case we need to get a better idea of the broader context of Israelite religion. How did they perceive God? Was he transcendent and all-knowing? Or was he more of a relational God who is affected by the actions of his creation? Nowadays, even those questions get a little sticky because some theologians are suggesting that for 2000 years and more we’ve been looking at God through a non-biblical, platonic (as in the ancient Greek philosopher who suggested that God must be immaterial, transcendent, all knowing) lens that is not true to the way ancient Israel actually perceived God. These theologians believe that we’ve set up “God as King” as the metaphor that rules all other metaphors in Scripture. They say that in our western, non-biblical view we emphasize God’s transcendence at the expense of his relational side. That brings us to the second aspect of metaphor that we need to discuss, metaphor as model for knowing. A Metaphor to Rule All Metaphor? Until not too long ago, metaphor was thought of as nothing more than rhetorical flourish. We don’t need metaphor to communicate; we can say the same thing only clearer, and thus better, by using plain propositions. Now, however, we recognize that metaphor helps us to explore and describe the world that lay just outside our grasp. As an example of how this works we can look at the history of our understanding of the nature of light. These scientists were making conclusions about the nature of light (which they could not observe) based on its behavior (which they could observe). When they made their conclusions they applied something they were familiar with (waves and particles) to something they were not familiar with (the nature of light). One camp said, “light is a particle,” the other that, “light is wave.” Doesn’t that sound like metaphor? I’m not saying these scientists meant to speak metaphorically when they described light. Newton really meant that light is made up of particles. Huygens really meant that it was made up of waves. But the fact is that their method of exploring light involved the process of using metaphor to compare the unknown or unexpressed to the known. So they were speaking literally but thinking metaphorically. The thing is, they were trying to make one metaphor for light rule all other metaphor. This is exactly what the open theologians I mentioned are trying to do. They are saying that “God as King” should no longer be our controlling metaphor. Instead, the controlling metaphor should be God as a relational being (this is the main point behind Fretheim’s book The Suffering God). What these theologians overlook is the way metaphor works. Just like in the wave-particle debate, models (controlling metaphors) compete with one another for prominence. But it often takes more than one model to adequately describe a phenomenon. As a matter of fact, we now know that light, like all energy, has both the properties of waves and the properties of particles. Thus the wave-particle nature of light. This insight corresponds to a quantum leap in our understanding of energy and matter. Curiously, God’s nature as transcendent and relational may be similar to the wave-particle debate. One of the most important and dominant metaphors used to depict God in all of Scripture is the tabernacle (later the temple). Isn’t it interesting that in the imagery of the tabernacle we find both the transcendence and immanence of God? The tabernacle is to be situated in the very midst of Israel and is to be the center of Israel’s everyday life. As Israel traveled from place to place in the desert the tabernacle went in the middle of the procession and the presence of God went before them in a cloud or pillar of fire. 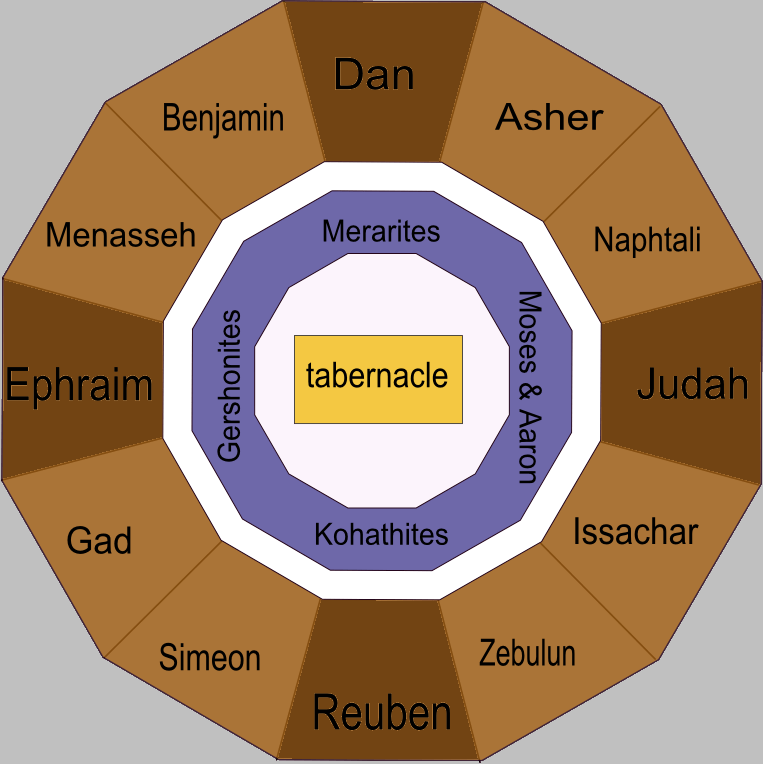 When they camped, the tabernacle was placed in the center with the Levites camping in a concentric circle around the tabernacle and the twelve tribes camped in a concentric circle around them. Once everything was set up the presence of God (the pillar or the cloud) positioned itself above the tabernacle. The tabernacle was THE symbol of God’s presence in Israel and it was that way throughout its history. At the same time, the temple was also a clear symbol of God’s transcendence. God is holy, he is transcendent and cannot be approached except according to the rules governing the temple rituals. Anyone who violates these rules will be put to death because God’s holiness cannot be defiled. In fact, in Israelite thinking the tabernacle was not just an Israelite custom it was a symbol for all of creation. The temple itself was the center of the cosmos where God sat on his throne. From there we move out to that which is holy, though less so, to the holy temple courts, to the holy Levites, to the holy nation, to the world. Each successive layer moves one step away from the transcendence and holiness of God. Indeed, the tabernacle was THE symbol of God’s holiness and transcendence. The prominence of the tabernacle as God’s communication to us (in the form of a metaphor) about his nature should teach us something about trying to set up one metaphor to rule all other metaphors. God is King and God is in relationship with his people. Traditional theology may have erred in making God too transcendent, but they did not commit Fretheim’s error of arguing for the one metaphor of relationship to rule all other metaphors for describing God. This metaphor of the temple of the god is common to all Palestine and the idea of a transcendent, nearly unapproachable god is common all over the Ancient Near East. So is the gods’ relational nature. In my view, orthodox theology does a better job than open or process theology at keeping this dual nature intact. So what does this mean for Genesis 22? To bring this home I want to emphasize two things. First, when interpreting “now I know that you fear God”, I am saying this communicates to us that God truly responds to our actions even though he is not affected by them. Some would argue that I have arbitrarily selected not to understand this statement in its most plain sense, namely, that God did not know and now he does. When I talked about context above I hope it became clear that understanding metaphor is dependent upon information external to the utterance. I have good reason based on the immediate and cultural context (as I also discussed above) for the interpretation I have presented. It is not an arbitrary interpretation, it is perfectly in line with the normal process of interpreting metaphor. Second, Fretheim may be right that God’s transcendence is sometimes overemphasized at the expense of his relational character. 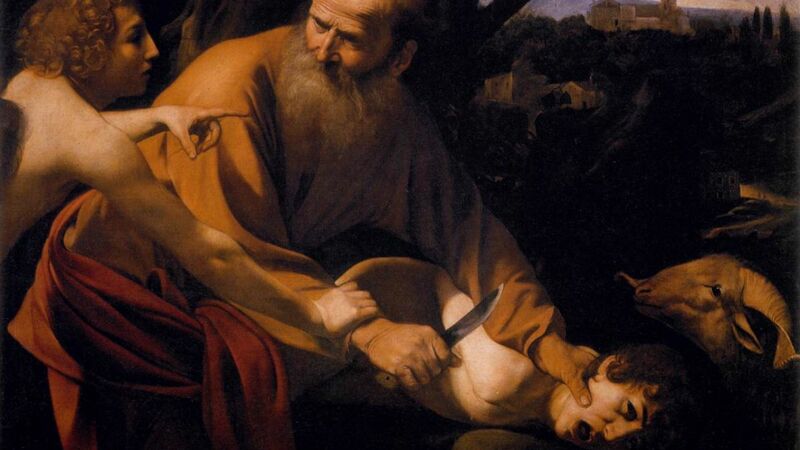 Genesis 22 is definitely about the mutually responsive relationship between God and Abraham. At the same time, we need not understand that to mean God is affected by Abraham or that he is not all-knowing in the traditional sense (these two things are related). We need to keep in mind that God is both transcendent and immanent. He is holy, yet he desires to be in loving relationship with his people. Other posts in the series: Genesis 22: This is a Test. This is Only a Test. This is Only a Test, two.